With the X-H1, Fujifilm has created a camera that targets videographers. A new member of the popular X Series of cameras, this is the first model to feature ETERNA mode, a new film simulation mode for shooting movies. In another first, the X-H1 is the only X Series camera to feature the latest 5-axis in-body image stabilization (IBIS), a feature that lets the camera achieve optical image stabilization no matter what lens is attached to the body. A lot of Fujifilm cameras feature unstabilized glass. Such cameras rely on fast apertures to give good results in low-light situations. However, IBIS allows users to have both. And with such a feature, the camera can achieve optical image stabilization with any lens. 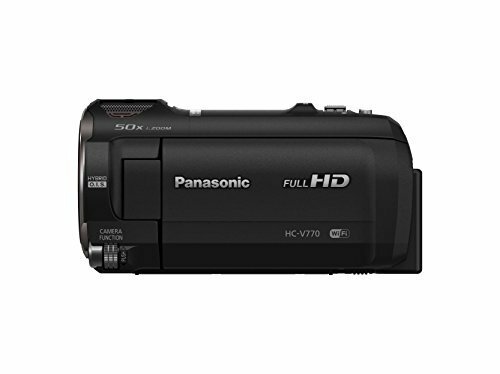 The X-H1 can perform up to 5.5 stops in-body image stabilization. It uses three axial accelerometers, three axial Gyro sensors, and a specially designed dual processor. Just like the X-T2, this model comes with a 24MP APS-C X-Trans III sensor. It is also equipped with the high-sped X-Processor Pro image processing engine. The combination of these features, along with a Fujinon lens, can yield outstanding image quality. 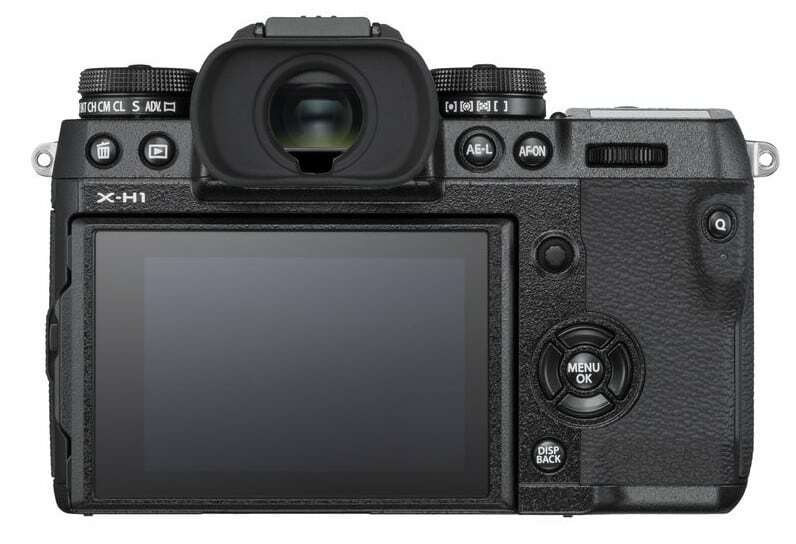 The X-H1 is larger than the X-T2, mainly because it had to accommodate the new IBIS system. However, it is still lighter than many of the current DSLRs out in the market. 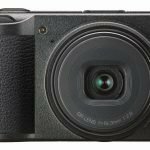 Fujifilm built the latest entry into the X Series to be an all-weather camera. It is resistant to dust and water, and can be used when temperatures dropped down to -10 degrees Celsius. They body, which is made of magnesium alloy, is 25% thicker than that of the X-T2’s, which also contributes to its larger size. The button layout of the X-H1 looks like a combination of the best qualities of the X-T2 and the GFX-50S. Like the GFX-50S, the quick menu button is located right next to the thumb rest. Where an exposure compensation dial used to lie in the X-T2, the X-H1 replaces it with a top-plate LCD to display shooting settings. 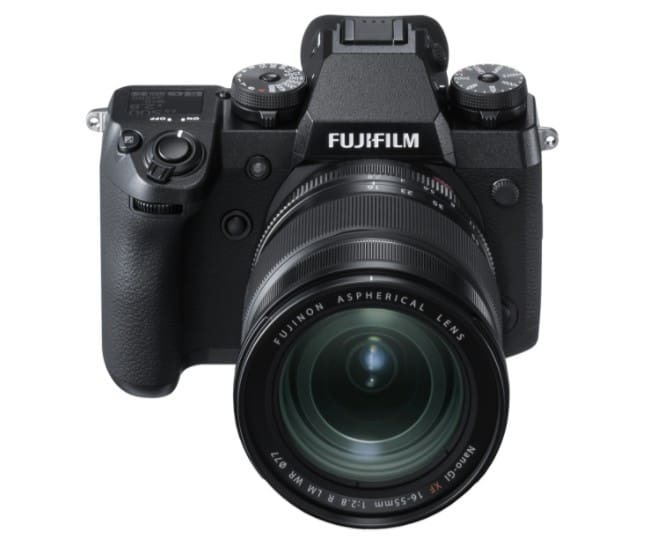 Although the X-H1 shares features with Fujifilm’s top cameras, certain differences are noticeable as well. In particular, this model features a larger hand grip, which would suit those with large hands. 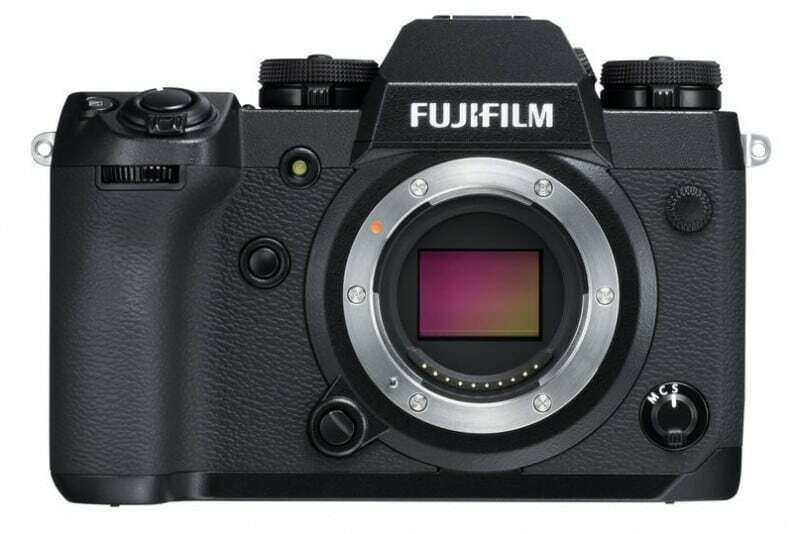 Fujifilm made changes to the autofocus algorithm used on the X-H1. The modifications make the camera a better performer (more accurate and with faster focusing) in low-light situations. In addition, this is also the first X Series model to feature flicker reduction mode, a feature that comes in handy for indoor sports photography. With this feature, more stable exposure can be achieved during burst shots under fluorescent and mercury lighting. The Fujifilm X-H1 comes with 20 functional and performance improvements. Among the enhancements is the ETERNA mode, a mode that can simulate cinematic film. The camera can also record at a higher bit rate: 200Mbps. 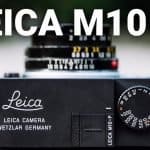 Other improvements include 1080/120p high-speed video mode for the recording of slow-motion footage, DCI 4K shooting mode, and a 400% dynamic range setting. The Fujifilm X-H1 will be available in March for $1,899.95.